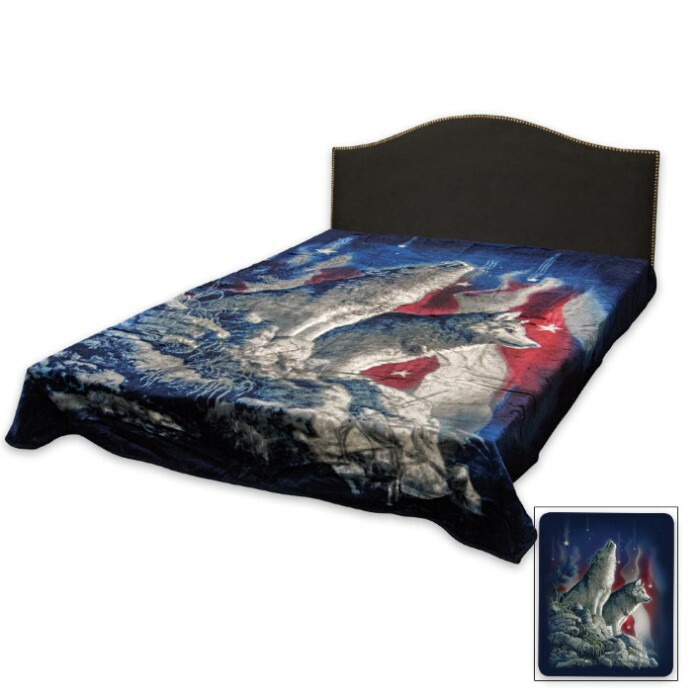 American Flag Wolves Pattern Queen Size Blanket | BUDK.com - Knives & Swords At The Lowest Prices! 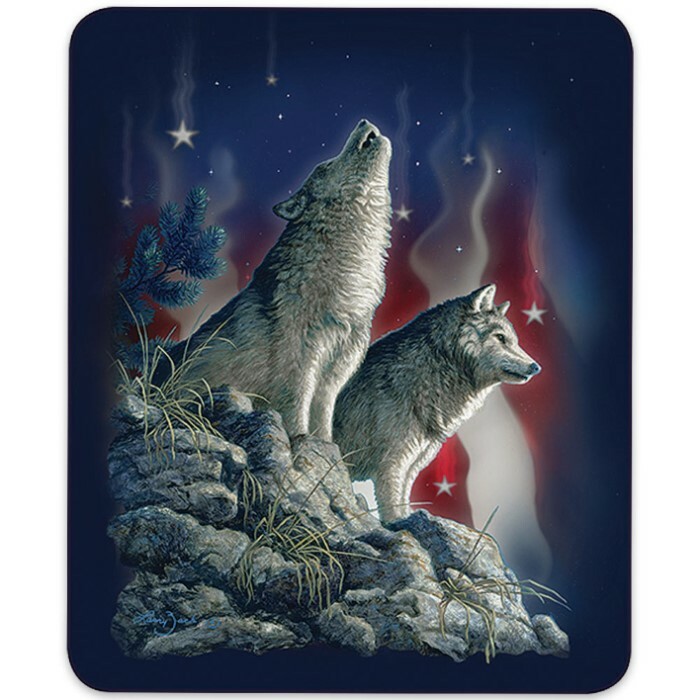 New in the Gold Collection by Regal Comfort, the American Flag Wolves Pattern Blanket will make a beautiful addition to your home or cabin. The cozy faux fur blanket is approximately 76” x 89” overall of soft, luxurious comfort for those cold winter nights. It is an oversized Queen with a wolves on an American flag background design.